Divide the mixture and fill 6 – 8 cavities about ¾ full. Bake for 15 minutes or until the mixture is well set. Mix the whole kernel corn with the beaten eggs and scramble. 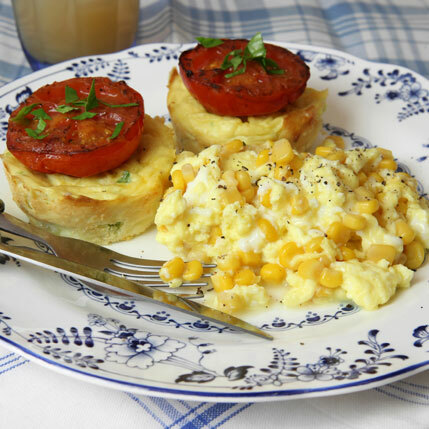 Remove the potato cakes carefully from the muffin pan and serve topped with a baked tomato halve and corn scrambled egg.